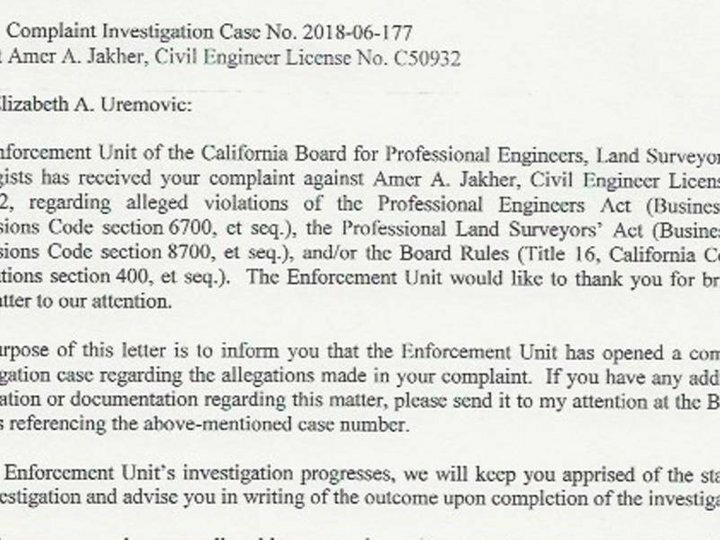 After Forging Beaumont’s Documents for another Sewer Bond Amer Jakher Slithers to Chino with the Board of Engineers on his Tail. Under administrative direction, plans, oversees and directs the activities and operations of the Public Works Department, including engineering, street services, wastewater, land developments, traffic engineering, capital improvement programs, traffic planning and engineering, special projects, control staffing levels and department budget; coordinates assigned activities with other departments and outside agencies; and provide highly responsible and complex administrative support to the Assistant City Manager; and does related work as assigned. Respond and resolve difficult and sensitive citizen inquiries and complaints. Minimum eighteen (18) years of age; Must possess a high school diploma from an accredited high school or G.E.D. equivalent; Must possess a Bachelor’s Degree from an accredited college or university with major course work in Engineering, Public Administration or an equivalent field; Masters degree in a related field desirable; Ten (10) years of responsible management experience involving public works operations; Registration as a Civil Engineer in the State of California is highly desirable; Must possess a valid California Class C Driver’s License and maintain possession of such license during the course of employment; Must have an acceptable driving record, be insurable at standard rates by City’s insurance carrier, and maintain such insurability during the course of employment. After a competitive process, Amer Jakher has been selected to fill the position of Public Works Director. Mr. Jakher will serve as a key member of the City Manager’s Executive Management Team and will be responsible for the City’s capital improvement projects, traffic operations, fleet management and water distribution.